Whether you’re a startup business or an established business, we can assist you to setup and convert data to Xero. Work with an expert to set your books up right the first time. It will make a world of difference to getting accurate information to help you run your business. Ask us for a quote for Xero Set Up & Conversion. WorkflowMax allows you and your staff to track time, manage jobs, create quotes, purchase orders and invoices. Using the advanced reporting, measure how productive your team is, whether you're on schedule and more importantly how much money you are making on each job. 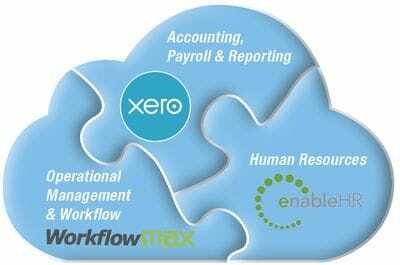 Combining WorkflowMax with Xero provides a total business solution from time tracking, project management and job costing through to tax returns, profit and loss and fixed asset reporting. As WorkflowMAX Partners, Trilogy Professional Group can help you set up and seamlessly integrate Xero with WorkflowMAX software.